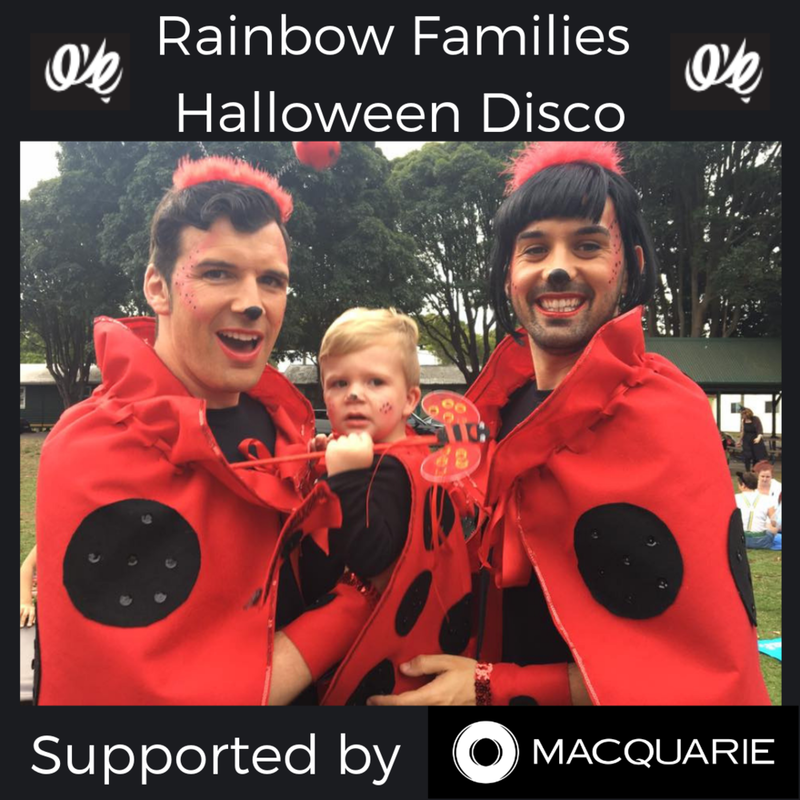 Get set for an afternoon of great grooves and good times as Rainbow Families take over the main hall at Addison Road Community Centre to serve up wicked tunes and spooky shenanigans for the whole family. The wonderful Kate Monroe is returning to man the decks, so expect to hear songs that will get both you and the kids shaking your booty. The huge outdoor grass area will be available, so bring your picnic blankets as well as your dancing shoes and of course make sure you are dressed up in your scariest Halloween costume. The Rainbow Families Halloween Disco is an inclusive event for adults and children with disability. There will be a chill-out space under the Rainbow Families marquee where families can relax and play while still being part of the main event. This year the wonderful team at Macquarie Bank are supporting the disco which means it will be bigger and better than ever before! Everyone’s favourite Drag Queen Coco Jumbo will be making a special appearance and putting on a show for the kids and their parents. Tickets will be available on October 12.